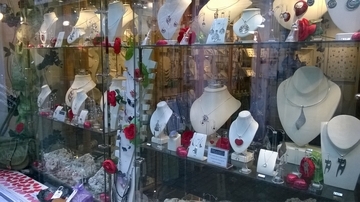 As Valentines Day approaches and you try to find the perfect gift for your loved one, take a wonder down the Magical Gandy Street and step into Mantis, an Independent Jewellery Shop with a fantastic collection of Sterling Silver Jewellery, Costume Jewellery, Accessories and Gifts. You'll be able to find that perfect gift you've been searching for and experience a warm and welcoming atmosphere from our wonderful staff. Alternatively, if you can't come to Exeter shop online at Mantis Home Direct. Either way you'll be glad you did!